Day 88: Get your popcorn! 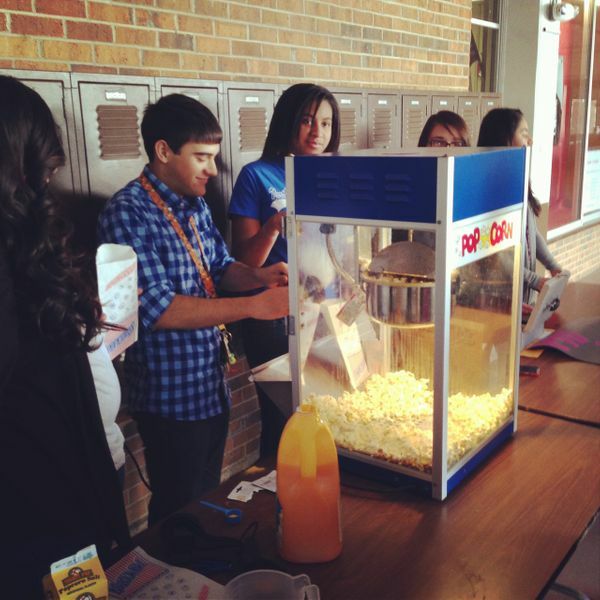 Students in the PALS program started their popcorn fundraiser today during lunch. For just $1, you can enjoy a freshly popped bag and your money is going to a great cause. If you missed it today, don't worry, as this fundraiser will be going on for two weeks.